And her, full with their scent. Tasting her silent voice, muting it further. For men that seek to forget their faces for a while. And under their bodies, she has learned how to forget her name. How they gather darkly yet produce something as beautiful as rain. She says some pain gathers itself and makes you survive. And remembers why clouds gather. The smiles of her children revive her. She no longer feels hollow. And how her love for her children has no shade of pain. Not the brokenness of men or their scents. But she is never empty like those men. That is her story.” love that line. 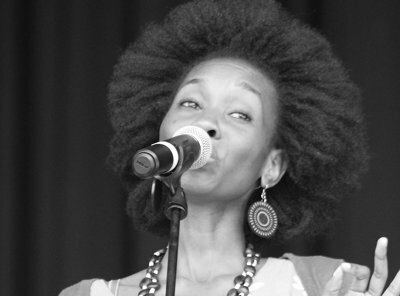 Thato Angela Chuma is a Motswana singer, poet and writer. Her poetry has featured in literary magazines such as Saraba Magazine, Brittle Paper, Strange Horizons, The Stare’s Nest and The Kalahari Review.